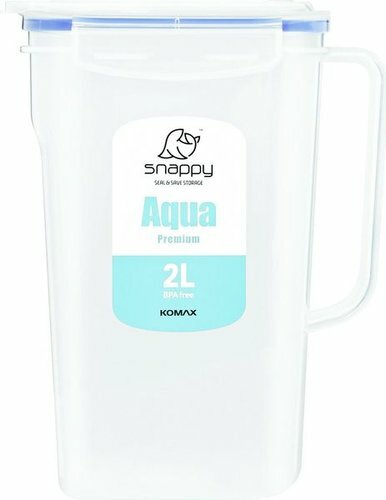 The Snappy Aqua Jug provides the perfect solution to storing and serving your favourite beverages. The transparent Jug makes it easy to view the contents of the Jug, making it easy to organise your fridge. The Jug has a locking mechanism and Silicone seal which makes it air and liquid tight. 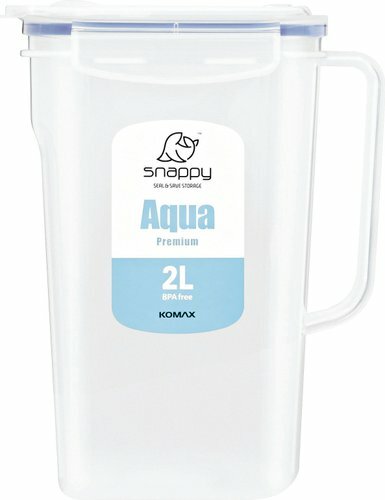 The Jug has an easy pour flap. Maintenance and Care: Do not overfill with carbonated beverages. Carbonated beverages can cause pressure build up and may result in lid failure. Wash all components before and after use. Do not use Bleach, cleansers containing Chlorine or any other abrasive cleaners.